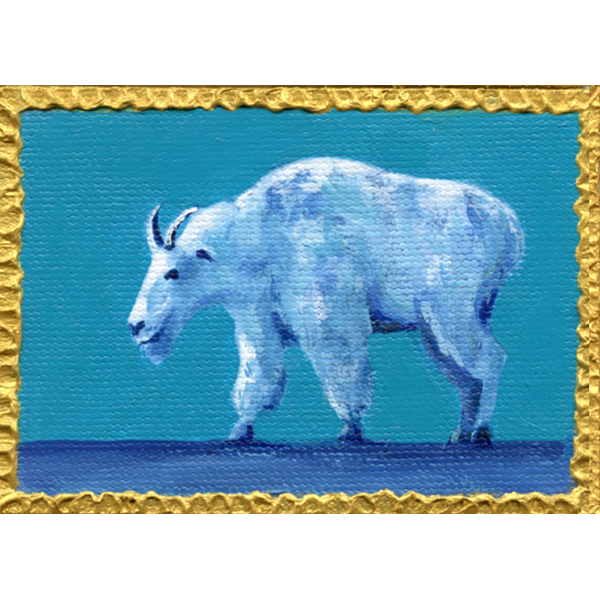 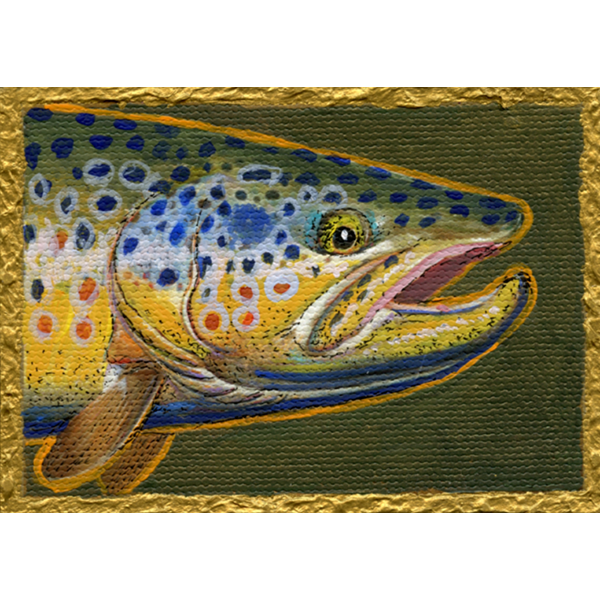 An art card titled Montana Abstract glows in a this wide mat and frame. 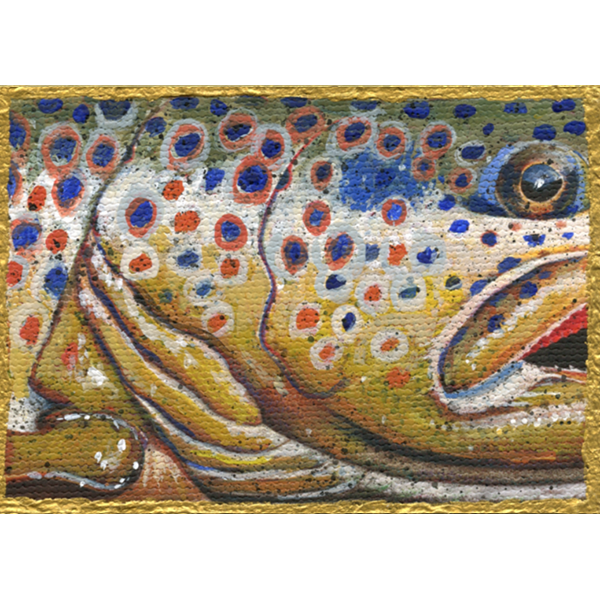 The brown trout is rendered in rich golds and blues. 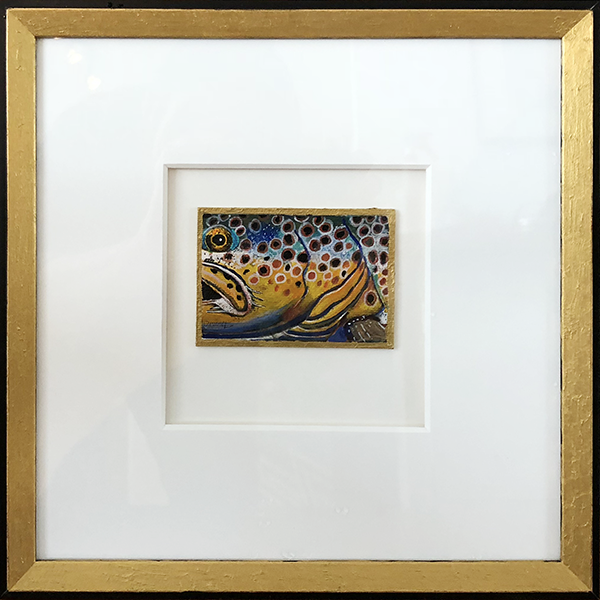 The framed size is 10.5″ by 10.5″.